With the release of their self-titled debut recording, local Celtic quintet Longford Row bring authentic Emerald Isle craic to the Green Mountains. The collection of 11 traditional Celtic tunes — plus one Cajun number — offers more than 46 minutes of distinctive, wool-clad coziness. Downcast ballad “Queen of Argyle” is first and sets the album’s session-like feel with lilting ease. Guitarist Patrick McKenzie’s weathered croon bristles with vitality. The buoyant, fiery “South of Australia” comes next, and McKenzie proves as compelling a front man here as he was sorrowfully impassioned on the slower opening number. Guitarist Dan Blondin takes the lead on the tender waltz “Arthur McBride.” His easy tenor is achingly pretty, a fine contrast to McKenzie’s more forceful delivery. Behind him, mandolin and fiddle gracefully dovetail, warmly embracing Blondin’s sweet tones. An instrumental medley — “Planxty Mrs. Power + Flowers of Edinburgh + Temperance Reel” — highlights the entire ensemble. The dynamic interplay between Matt Bean’s soaring fiddle and Marshall Paulsen’s plucky banjo is especially noteworthy, a fine showcase of this outfit’s versatility and veteran tact. Blondin takes center stage again on “Jack Hall,” a tune highlighted by fine ensemble vocal harmonies and a tastefully spare instrumental arrangement. The aforementioned Cajun tune, “Lacassie Special,” cruises with jaunty energy. Bean’s fiddle work is exemplary as he leads the quintet through a series of increasingly spicy movements. Another instrumental medley, “Shady Grove + Cold Frosty Morning + Kitchen Girl,” once again showcases the group’s collective diversity and sensitivity. In particular the band’s take on “Shady Grove” — long one of this Irishman’s favorites — is expertly conceived. The jovial reel “Riley’s Daughter” again lightens the mood with breezy, singsong appeal. In contrast, “The Blackbird” flutters mournfully against a steely backdrop of strummed guitars and cheerless banjo. McKenzie is at his rueful best, telling the song’s heartbreaking tale with restrained cool. “The Mermaid” splashes playfully amid ripples of banjo and fiddle. Flanked by a hearty crew of backing vocalists, McKenzie’s voice bobs above the tune’s carefree currents. A third instrumental medley, “Lilting Banshee + My Darling Asleep + Out on the Ocean,” serves as a lovely preamble to the album’s finale, “Spancil Hill.” Blondin’s blue-eyed delivery lends the somber traditional an appropriate heaviness, bringing the record to a perfectly melancholy close. 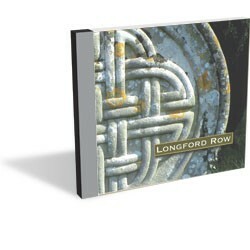 Catch Longford Row this Thursday at — where else? — Rí Rá Irish Pub in Burlington.